MG Double Girder Gantry Crane-double girder gantry crane - Henan Jinrui Machinery Co., Ltd.
MG Double Girder Gantry Cranes compose of gantry, crane crab, trolley traveling mechanism, driver cabin and electric control system, the gantry is box-shape structure, the track is at the side of each girder and the leg is divided into type A and type U according to user requirements. 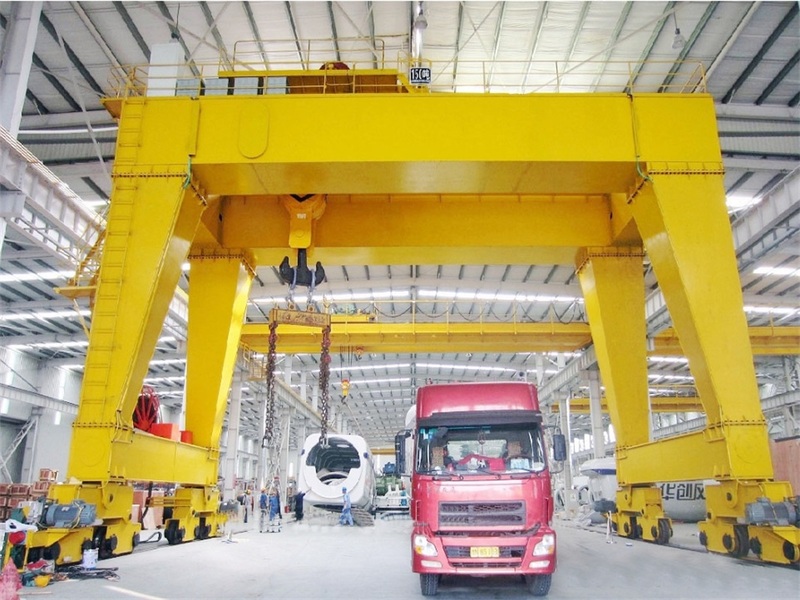 Double Girder Gantry Cranes could be ground control, remote control, cabin control, the cabin will equip adjustable seat, insulating mat on the floor, toughened glass window, fire extinguisher, electric fan and auxiliary equipment such as air condition, acoustic alarm and interphone which can be furnished as required by users, all control can be achieved in cabin room. 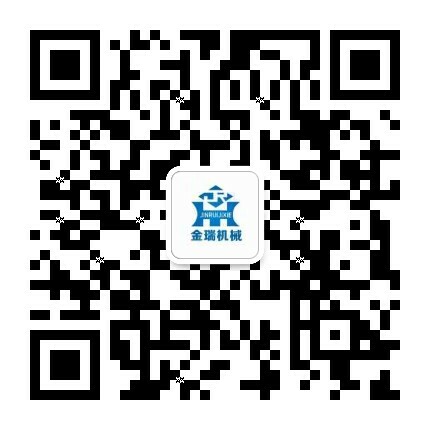 Double Girder Gantry Cranes is applicable to the outdoor warehouse or along the railway general loading and unloading and lifting handling operations, prohibite working in high temperature solution, flammable, explosive, corrosion, overloading, dust and other dangerous environment. * Lifting capacity up to 500ton. * Span is 12m to 35m. 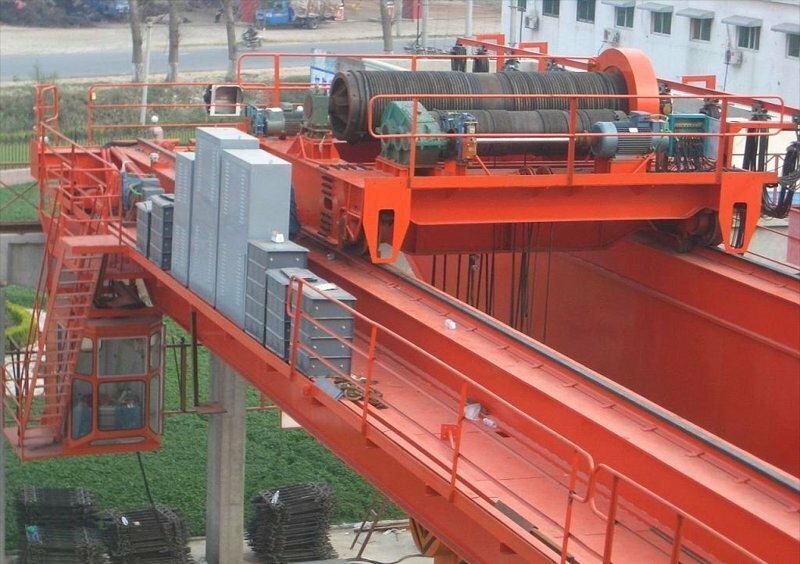 * Lifting height up to 12m. 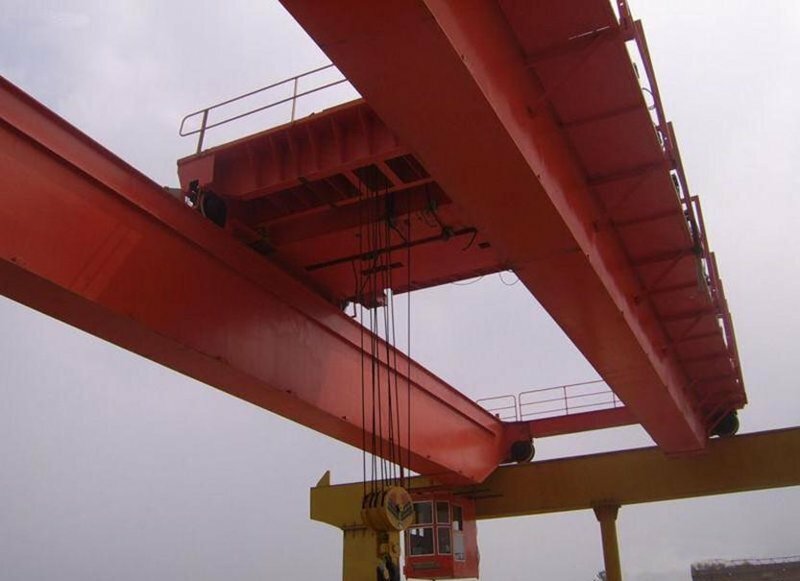 * This kind of crane is composed of bridge, support legs, crane traveling organ, winch trolley, electric equipment, strong lifting winch. 1. 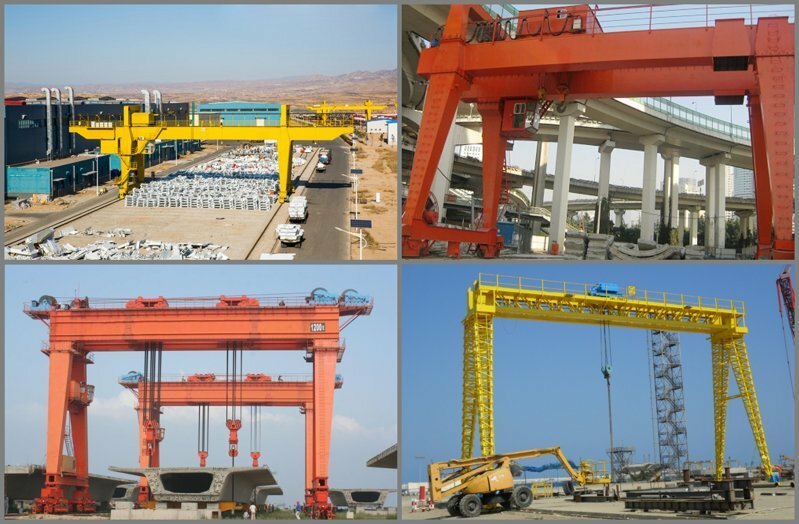 Double Girder Gantry Cranes are design and manufacture according to GB/T 14406 "general gantry crane"